Eurochartiki S.A. was founded in 1993; however the company’s history goes back to 1985 when the general partnership under the name “N. Christopoulos – I. Trakakis GP” was established, by its visionaries and remaining shareholders, in Peristeri under the distinctive title “CHRISTRAK GP”. The company operated in a leased space in Peristeri and in 1989 the owners leased an additional space of 400m2 for production and storage. At the time, it produced paper products (paper napkins, toilet paper) and liquid soap and employed 7 people. The passion for creativity, innovation and hard work boosted the initial concept and 3 years later the company became “EUROCHART Ltd” and moved to Aspropyrgos Attica, in a space of 1.000m². The newly established company also started producing and distributing detergents, thus enriching its product range. Since 1993, Eurochartiki S.A. has enjoyed a rapid success, with successive expansions -almost every 2 years- in its production facilities and storage areas in the location Rikia in Aspropyrgos. 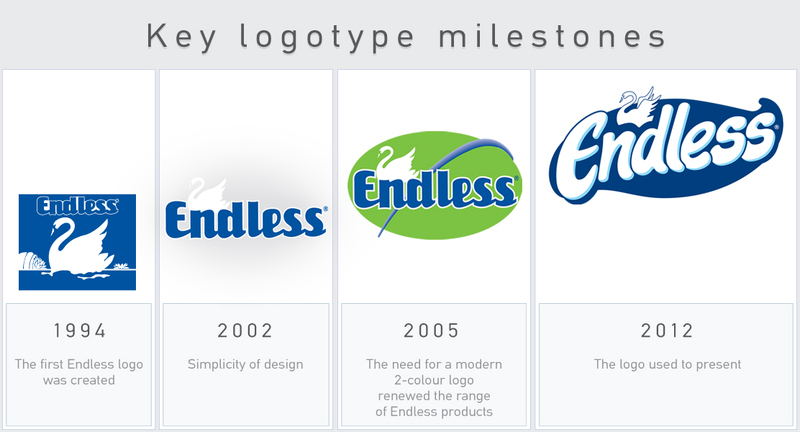 The brand name Endless -with a swan as its registered trademark- was designed and patented in 1994. Not much later the brand had already been established both for its quality and affordable prices. In the same year the company opened its first branch in Thessaloniki, in northern Greece. The establishment of Eurochartiki signaled the beginning of liquid detergents production. A newly erected building of 4.000m² in Nea Magnisia housed the branch’s offices and storage spaces, thus covering the growing needs of the market in northern Greece. New storage facilities of 8.250m² were created in 2007 in the location Rykia in Aspropyrgos Attica. Today, the company employs 195 people. Many of them are working for Eurochartiki since its first years of operation, while other hardworking and enthusiastic executives joined in later on.